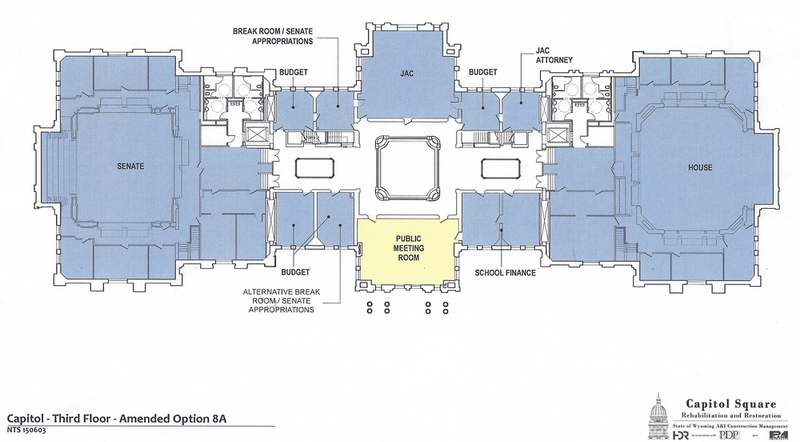 On June 2, the Capitol Building Restoration Oversight Group approved draft design plans for the Capitol that would increase public meeting rooms overall and provide offices for the Secretary of State, State Treasurer and State Auditor around the rotunda on the first floor. 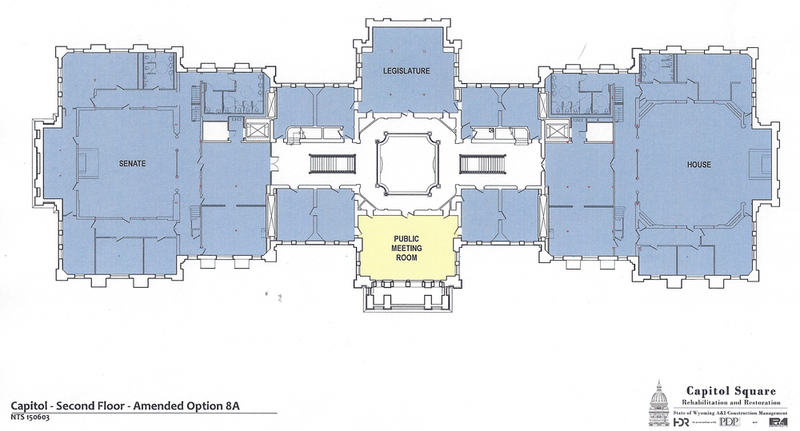 The floor plans focus on preserving the grandeur of the Capitol and restoring it as a museum space that can be enjoyed by children and adults. The plans include the development of a learning center in the gallery connecting the Capitol and the Herschler Building to accommodate educational tours before students visit the Capitol. 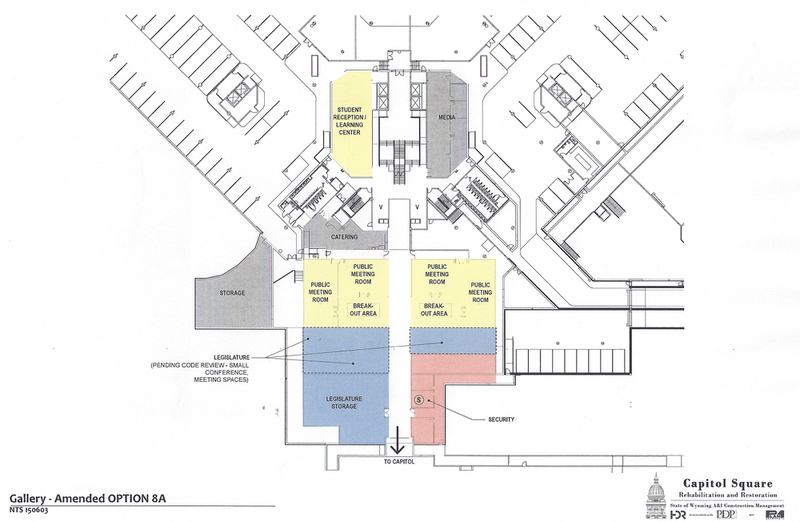 The details of the floor plans will be developed further during the summer with the final designs being reviewed by the Oversight Group at its September meeting.